TK-3000 was the local version of Apple IIe manufactured in Brazil. - A 256Kb memory module. 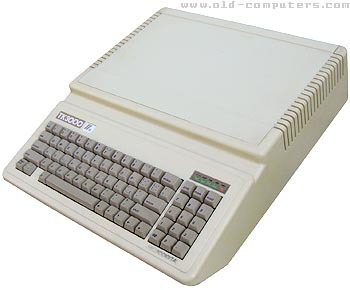 Despite Microdigital efforts, TK-3000 lost the battle wih MSX models, mainly due to lack of software in Brazil. The "clones" made in Brazil during the 80's actually were licensed products. Although Brazilian Government forced us to manufacture our hardware, the technology and some main components such as processors and printer heads were imported from the American and European manufacturers. Most of the Brazilian manufacturers copied US and UK computers without neither licence nor agreement from the brands they copied. Sinclair sued Microdigital for this reason. Another company made an Apple Macintosh clone without any agreement from Apple. Gabriel Gra�a replies: Ernesto forgets that the clones were not illegal under brazilian law. The WTO did not yet exist, and foreign computer companies were barred from Brazil. The only foreign company that obtained a licence to sell in Brazil was HP (they sold the HP85B). Apple only managed to stop the production of the Mac clone because the US threatened Brazil with trade sanctions. see more Microdigital TK-3000 Ebay auctions !